Love The Turn of the Screw! Have you read The Aspern Papers, also by James? It's similarly eerie. No, I haven't read that one yet. As I'm reading it, I feel like I read Daisy Miller for one of my college courses. But this is the first time I've read Turn of the Screw and I will have to check out the Aspern Papers next. Thanks! YAY!!! I am excited to see that you will be reading The Magicians too... I started it on audio yesterday. I had a GREAT relaxing weekend. I saw that! My best friend is reading it right now too (without us discussing it). Something in the water?? Oo The Turn of the Screw is such a great story - we just recently read it in class (last semester) and had so much fun discussing it - the pronouns had me in stitches! I'm looking forward to it. I'm not big on scary stories, so I will probably be keeping it strictly for daytime hours. :) Oooo, what are you thinking of the Magicians??? I haven't started it yet, but I'm excited to read it. I love reading Lev Grossman's articles in Time magazine. I hope you have a great reading week. 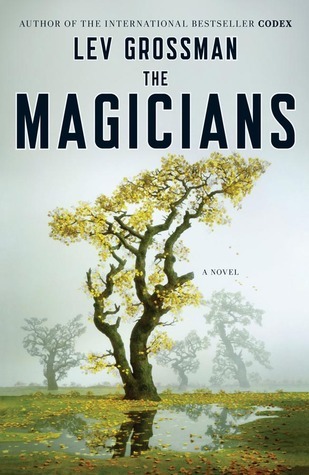 I read The Magicians and didn't exactly love it, but thought it was okay. It was interesting because I heard a lot of buzz about it when it came out, but then I found it on the bargain table at B and N soon after. I bought it for $5, but it's just been sitting on my bookshelves. I will have to check out your thoughts when I am finished reading! I'm planning to re-read The Turn of the Screw. I've read it twice before. My favorite read last week was Swahili for the Broken Hearted by Peter Moore. Please come see what else I'm reading. Chocolate awards would be a good thing! Cadbury's Turkish Delight would win the Chocolate Awards every time! I think the sequel (The Magician King) came out last year. I am just a bit late to the party! I wish there was a Chocolate Awards show, too. I love chocolate, especially dark chocolate!!! I'm curious to know what you thought of Russian Winter...I love it! I wonder if we will be seeing more from Daphne Kalotay. I actually won Russian Winter from you, Kristin! I sped through it in a day - it's such a great story. I'm voting for Lindt truffles in the chocolate awards. The Magicians seems to be cropping up on many people's book lists. I have to put that on my wish list. It's so funny to me that I know a few people who are reading it right now. The book is a few years old now, but I guess I just know a few other stragglers! How was Russian Winter? I really want to read it. Oh goodness. I hope your week goes quickly! I really enjoyed Russian Winter. It was one of those novels where you really feel like you are there with the characters. These look like terrific reading choices. 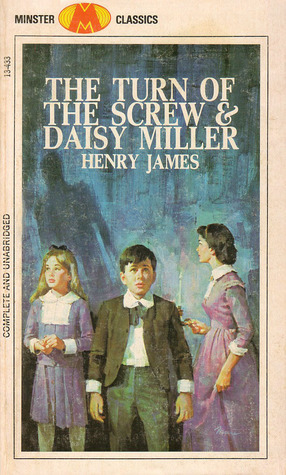 I never read The Turn of the Screw, but I enjoyed the movie adaptation. Thanks Stephanie! I didn't know there was a movie version. I will have to check it out (to watch during the day, of course). Thanks Rebecca! Same to you! I haven't read any of these! Some good choices! I love the cover of Russian Winter. Happy reading! Thanks! I think it might actually be the British cover, since everyone around here seems to have a different one. I recently read Daisy Miller on my Nook - pretty enjoyable! I also read "The Magicians" after "The Magician King" came out because I wanted to read the first before I bought the second - very original, but I did have problems with the cynicism of these teens ... :) ... still a book that I'm glad to have read! You have a great reading week ahead! I'm enjoying The Magicians so far! I think, especially for the people who graduated from college around the time I did, the cynicism of the characters in this book rings really true. We expect a lot of things from our college education (magical or not!) and it seems like very few graduates are finding what they hoped for.